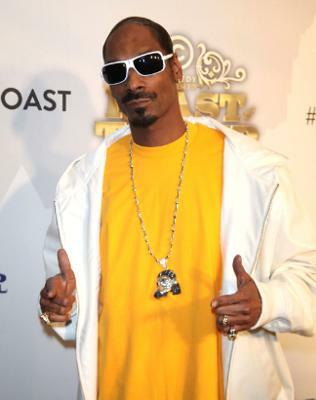 Snoop Dogg to drop all reggae album in 2012 - Rap legened Snoop Dogg is hooking up with Beyonce and Usher producer Diplo to release a reggae album. The Doggfather has been in the studio with the in-demand Philly DJ cooking up what promises to be one of the year's strangest albums. Diplo, mastermind behind Usher's latest single 'Climax', told MTV, "Snoop Dogg is an icon, he's bigger than the music. What we're doing is a reggae record." Diplo went to to reveal he and Snoop have begun working on 18 tracks together, which will hopefully make the cut for his new album, Reincarnated, set for release in late 2012. "We're going to get back into the production of it next month, and I'm really proud of that record," the producer added. "It's the first record I've ever executive-produced and his crew is amazing". Snoop, who recently worked along side his daughter on her first release 'Daddy's Girl', is also set to drop a new documentary along with his album later this year.